Master ceramist Shiho Kanzaki is revered by a loyal, worldwide following. 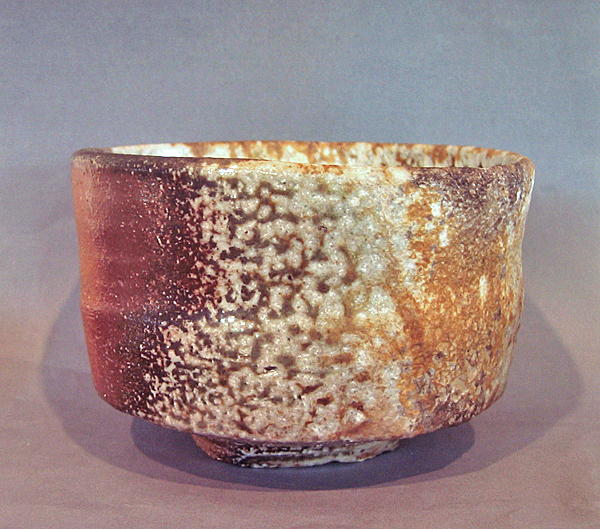 His faith and passion for Azuchi-Momoyama Period Shigaraki and Iga pottery have inspired him to create many stunning works, primarily large tsubo and tea ceremony utensils. Indeed, it has been said that his pots are like jewels thrown down from the heavens. 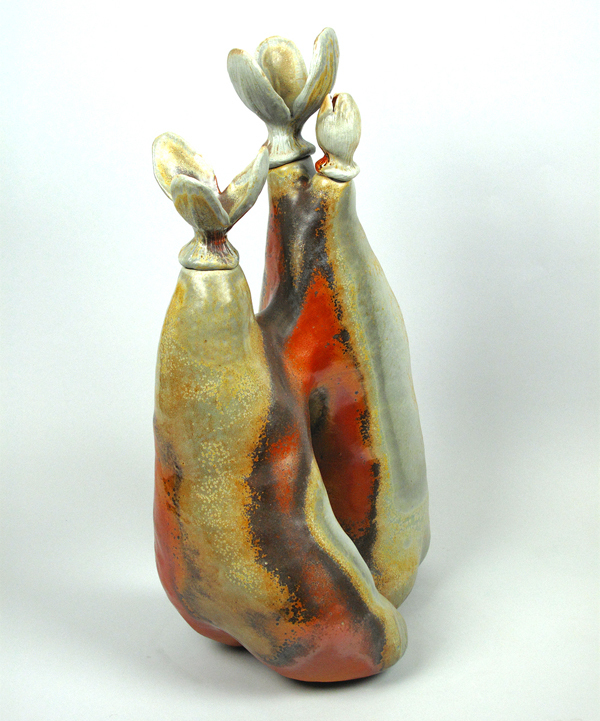 Kanzaki continually blazes new trails in the ceramic art world with his insights into anagama-fired Shigaraki and Iga. Potters from all over the world travel to fire with him and learn his techniques, including a number of artists represented by The Island Gallery. Kanzaki lives and works in Shigaraki, Japan. 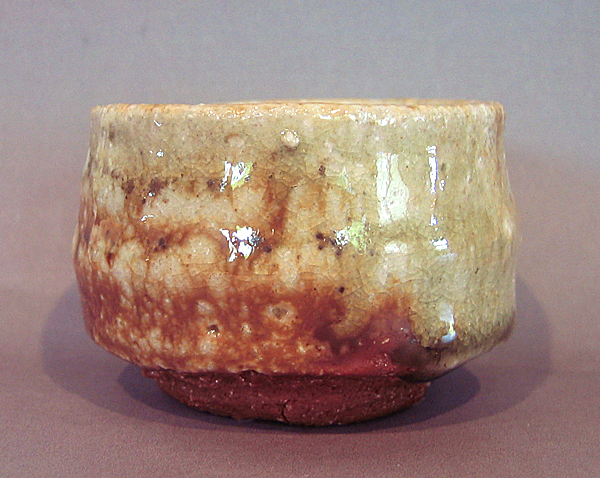 Shiho Kanzaki: sake cup, with very beautiful markings. Dimensions, in inches: 1-1/2 x 2-3/4. 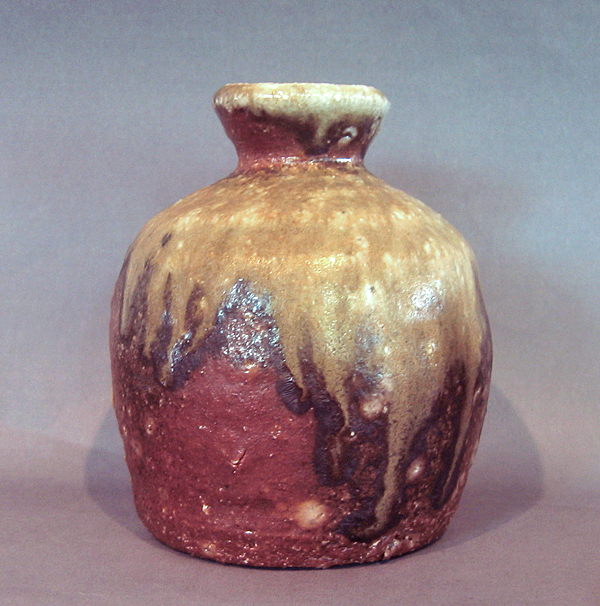 An extraordinary find: Shiho Kanzaki's short sake vessel, with stout, pleasing form and amazing markings. Dimensions, in inches: 4 x 3-1/2. 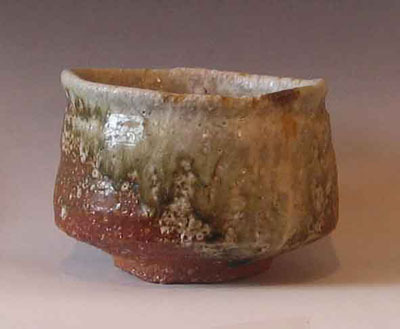 A most special tea bowl from Shiho Kanzaki. Fired for 15 days, this tea bowl displays beautiful color and markings, both externally and internally. Dimensions in inches: 5 x 3 (widest top diameter x height). Please contact the gallery for more photos or any further information. 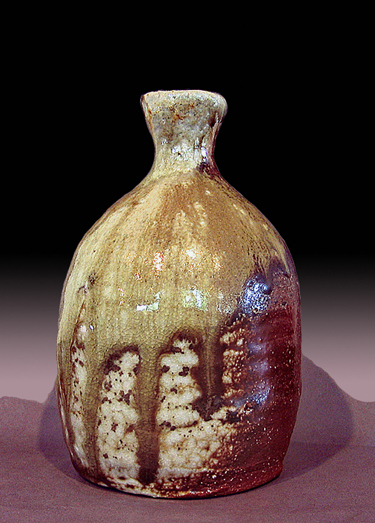 Shiho Kanzaki's elegant tokkuri, or sake vessel, with slender form, beautiful markings and elongated neck. 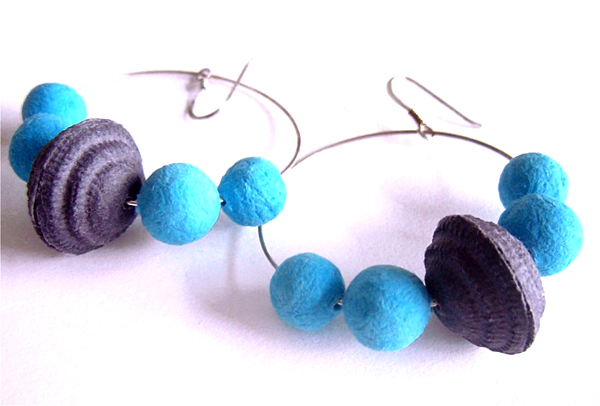 Dimensions, in inches: 5 x 3. Please contact the Gallery for shipping estimate. Ships in its own hand-made wooden box.